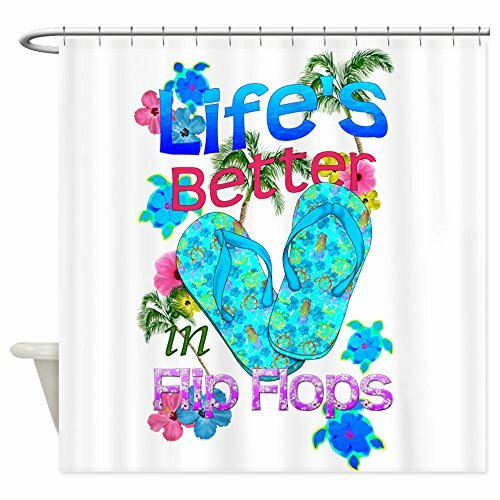 Flip flops bathroom decor is a delightfully fun way to decorate any bathroom in the house. Whether you are decorating a guest bathroom, a mudroom bath, or even a child’s bathroom, you will love the options in colors and styles. 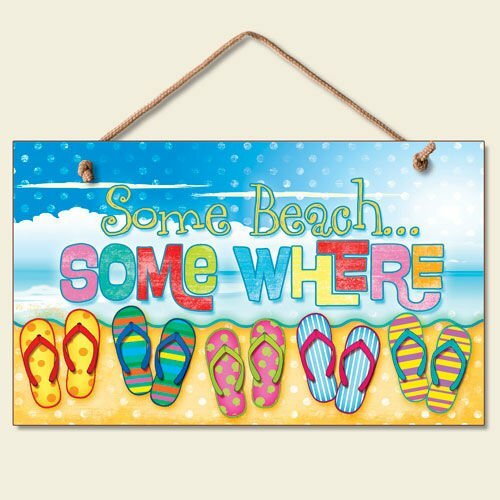 If you and your family enjoy the beach, flip flop bathroom decor is perfect for you. 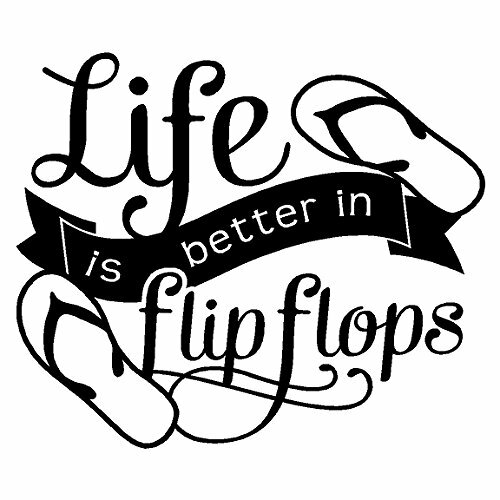 Remember, real flip flops are adorable hung on the wall – one pair for each member of the family. The different sizes make a fun wall decoration for the bathroom. It’s time to celebrate summer! 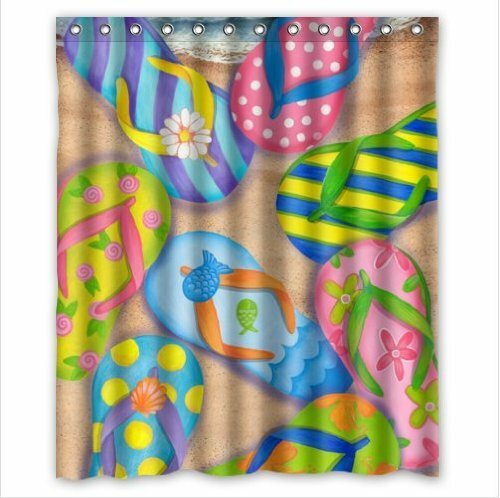 It is a good idea to start with your shower curtain choice in any bathroom decorating plan. Your shower curtain provides a large focal point in your bathroom. 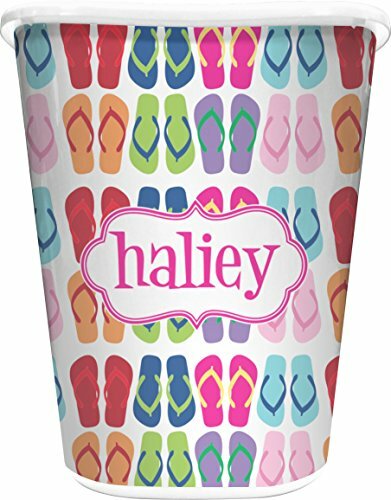 Choose a flip flop shower curtain that uses your favorite colors. 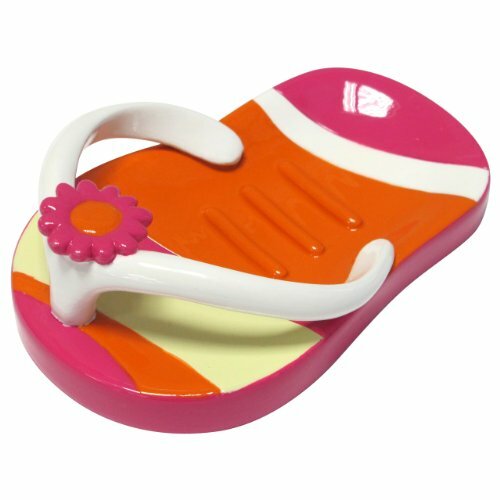 You can find great flip flop bathroom accessories to continue your flip flops bathroom decor. 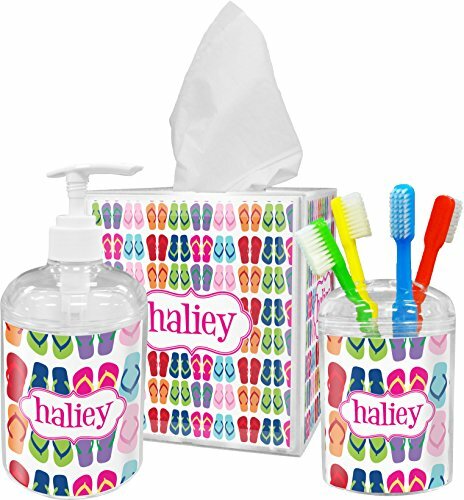 I really like the cute flip flop items that are personalized for a child or teen bathroom. No matter which items you choose, be sure they make you smile. 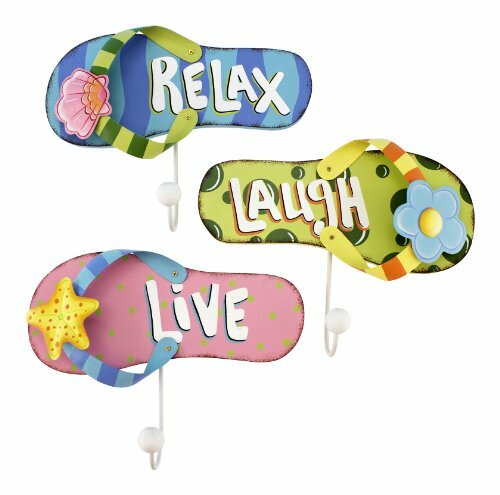 The choices are endless with flip flop wall decor. You will want to add items that reflect the personality of your family and continue your favorite colors in the wall items. For our house, I prefer quotes when I have a choice. If you are crafty, you might consider a flip flop wreath for the wall. 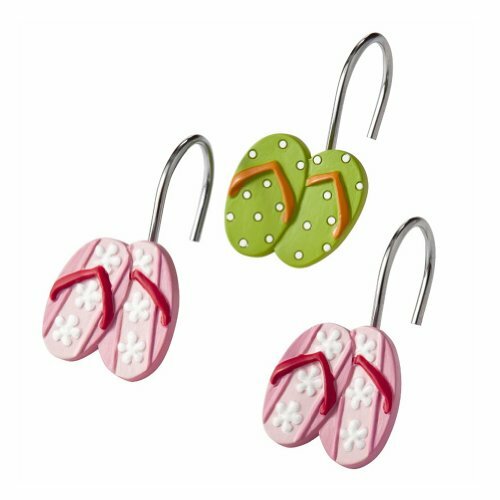 Flip flop towel hooks are a great way to organize the bathroom and keep it neat, even with wet swimsuits. Give your guests and your children every opportunity to keep things in order. 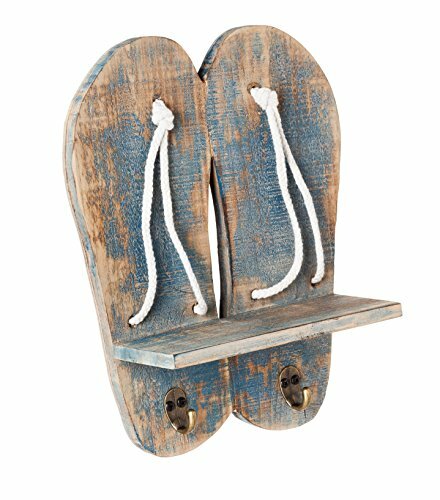 PS – if you find you are not having fun with this flip flops bathroom decor project, you are doing it wrong. Enjoy the process. 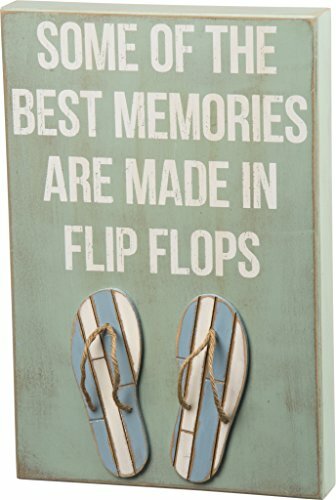 Have fun with your flip flop decor and your friends and family will enjoy seeing it! 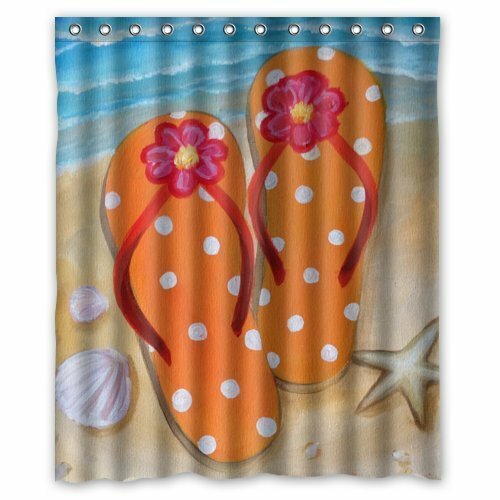 And if you love beach decor, take a look at our beach bathroom ideas while you are here.